The classic celtic tankard. A beautifully crafted single celtic irish band in the center with a classic swan handle. 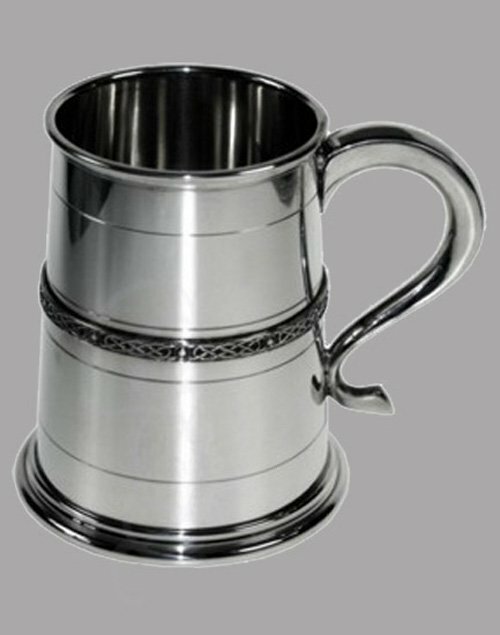 The tankard features a bright polished finish inside and out. 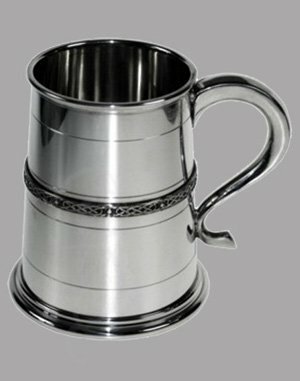 This tankard is perfect for engraving. The ideal gift for all the Irish warriors, Gaelic Events, fraternities, kings, Dads, step dancers and any medieval or modern event.